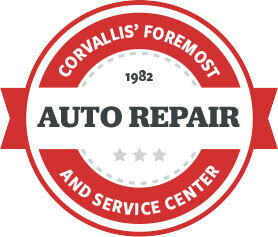 London’s Automotive in Corvallis, OR is your go-to repair shop. We’ve been here, providing excellent auto service since 1982. Over the decades, we’ve learned what’s most important to our customers- and quality auto service is the least we can do. Top-notch service is automatic when you come to our facility. Our experts take our services a step further by focusing on customer service. You may forget the quality auto repairs that you received from London’s Automotive, but you will always remember how you were treated. Our team focuses on improving the auto repair process, your service experience, and our expertise. 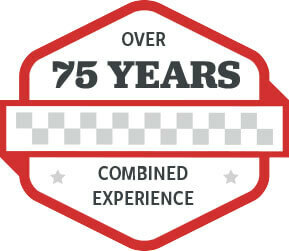 We have more 75 years of experience keeping vehicles on the road (and off the side of the road). Leave complicated and time-consuming engine repair, transmission repair, and brake services to us. That’s why we’re here. If it was up to us, you’d avoid costly repairs altogether. It is all up to you and where you bring your vehicle for services. All we need is your vehicle to make sure you keep enjoying the open road. Ultimately, it’s peace of mind that we give drivers throughout the Corvallis area. Our customers know that London’s Automotive has carefully and consistently maintained their vehicles. Owners can think about their road trips, car pools, and daily itinerary instead of fixing auto repair needs. Exceptional auto service is our job. It’s all about prevention and giving your vehicle the attention it deserves. Our shop has been the preferred service station over the expensive dealerships for decades. We treat our valued customers like family, and their vehicles like our own. You’re not just another number at London’s Automotive, you’re our top priority. Rest assured that your car, truck, van, or SUV will always be two steps ahead of any breakdowns or performance issues. We have your back for any maintenance or repair needs. The secret to hassle-free and stress-free road travel is our team of dedicated service technicians. London’s Automotive is here to put your vehicle, and keep your vehicle, on a path to peak performance. Owners are surprised by the number of repairs they can avoid with a preventative maintenance schedule. We have your auto services covered from bumper-to-bumper, so let us design an effective service plan for your vehicle. We’re anxiously awaiting your phone call at 541-753-4444 so we can schedule your next auto service appointment. You can save time by using our convenient online scheduling system right now. Next time you’re in the area, feel free to stop by because we gladly accept all of our walk-in customers. Bring us any questions, concerns, or performance issues and we’ll provide correct answers and repair solutions. We look forward to serving you, and servicing your vehicle. Top of the line! Seriously, I was convinced the problem with my car was going to be costly and a major issue. London's had the perfect opportunity to charge me a huge amount but did not! When they called and i expressed concern over the issue I was told they could certainly do it if I wanted but it would be a waste of my money and the car was perfectly safe. HONEST! It was so refreshing. I've found a new mechanic and I'm staying LOYAL! London Automotive's team members are dedicated, expert auto repair technicians who love what they do, and love doing it right every time. With more than 75 years of collective experience, you can trust the work and service of the London Automotive's team. You can often find them at home, hard at work pursuing their favorite hobby of - you guessed it - working on cars. Since 1982, Londons Automotive has worked hard to provide Corvallis with the best auto repair and maintenance possible. Whatever your automotive needs may be, London’s Automotive is happy to provide honest and trustworthy service, which is backed by a full 2 year / 24,000 mile Warranty.